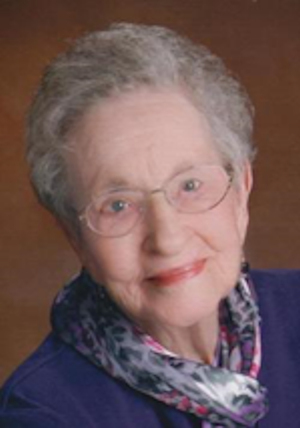 Obituary – Kehnemund, Frances Louise (Harris) « Perry High School Alumni Association, Inc.
– age 17, daughter of Mrs. Armine C. Harris, was born October 30, 1923, at Enid, but came to Perry to get her first 12 years of education. Frances Louise has been reporter for the mixed chorus and has been a member of the band, mixed chorus and of the Christian church choir. She took part in the junior class play, and in the Christmas cantata, and has had a part on several assembly programs. She was in the seventh grade play presented by members of her graduating class. She plans to attend business college upon graduation here. She says that traveling, dancing, photography and letter writing are her favorite hobbies. A Celebration Of Life for Frances Louise (Harris) Kehnemund, 93 of Enid, is Thursday, June 1, 2017 at 10:00am in Zion Lutheran Church, Lahoma. Pastor Thomas House will officiate. Burial follows in Zion Lutheran Cemetery, north of Lahoma. Funeral arrangements are under the direction of Henninger-Hinson Funeral Home. Visitation with family present will be 6-8:00pm Wednesday, May 31, 2017 in the Henninger-Hinson Funeral Home Chapel, 601 W. Broadway, Enid, OK.
Frances was born in Enid on October 30, 1923 at her Grandfather, “Daddy B’s” home, to Grant Carlton and Armene Caroline (Butts) Harris. She passed away from cancer at The Arbors Assisted Living on May 27, 2017. As a toddler, her parents moved to Perry, OK where she attended grade school and high school, graduating in 1941. 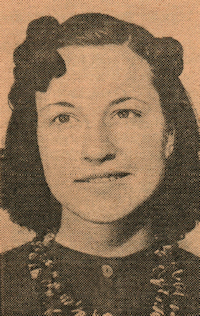 After graduation, she moved back to Enid and attended Enid Business College, graduating in 1942. At age 12, she was baptized in the Christian Church of Perry. She joined the Zion Lutheran Church of Lahoma in 1954 and is still a member. She also attended Redeemer Lutheran Church of Enid. Her dedication and love for choir and passion for singing led her from Perry, OK to Amarillo, TX to Lahoma, OK and finally to Enid, OK for a total of 75 years. She had a beautiful Soprano voice that was unlike any other. In 1943, Frances married Ira Lee and had one son, Mark. In 1953, she married Edgar “Sike” Kehnemund and had one daughter, Verie. She became a “Farmer’s Wife” and mastered raising huge gardens, canning, cooking, baking bread and cinnamon rolls, sewing, playing the piano, singing, helping with the farming and raising her children. Then, she and Sike opened Sike’s Laundry and Dry Cleaning in Lahoma. She was a very organized person and kept excellent books. She worked for 27 years at several businesses: Santa Fe Railway Co. in Amarillo; Enid Production Credit; Long Bell Lumber Co. in Enid; Sike’s Laundry in Lahoma and Register of Deeds of Garfield County in Enid, where she retired. Frances belonged to the Lahoma Economy Club, Zion Ladies Aid of Lahoma, Silver Belles, Redeemer Parish Workers, Seasoned Saints, Red Hat Ladies of Enid, The Rippers of Emmanuel Baptist Church, and Perry OK Alumni Association. She also volunteered for Hospice Circle of Love, American Red Cross and Bass Baptist (Integris) Health Center for many years. She enjoyed watching “OKC Thunder” play basketball on TV. Preceding her in death are her parents; husband, Edgar “Sike”; brother, Grant C. Harris, II and sister, Marilou Redditt. Surviving her is son, Mark Douglas and wife, Leasa of Richmond, TX; daughter, Verie Ann Layman and husband, Edwin of Enid; three grandchildren, Anesha Dawn Collins of Wheaton, IL; Matthew Lamar Kehnemund and wife, Lori of New Braunsfels, TX; and Allison Diane Tonkin and husband, Eric of Richmond, TX; four great-grandchildren, Bennett and Harper Collins; Trey and Liv Tonkin; and step-granddaughter, Holly Stringer. Memorials can be made to American Cancer Society with Henninger-Hinson Funeral Home serving as custodian of the fund.